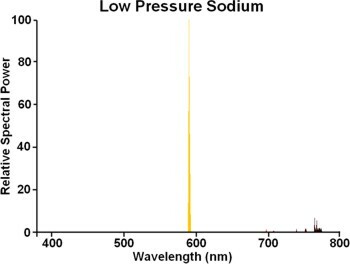 Despite the fact that the low pressure sodium lamp is of European origin, it quickly became a distinctly British light source and gained considerable popularity in that country. 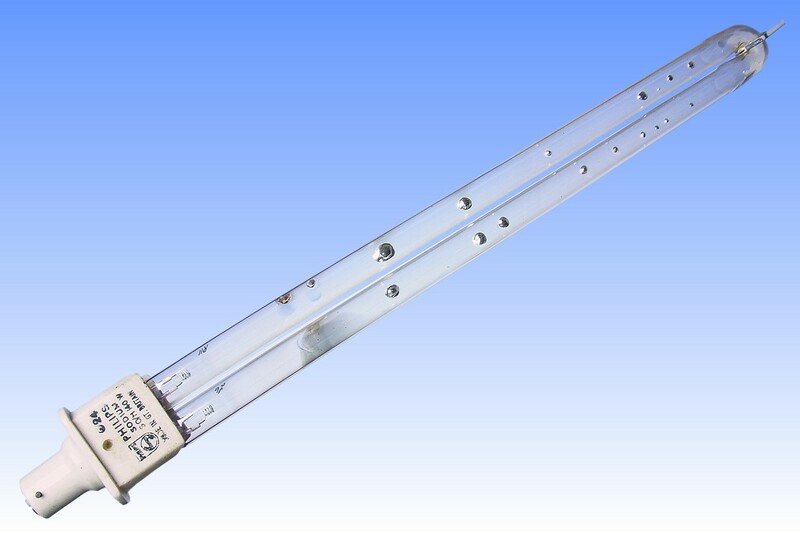 Soon after Philips' invention of the lamp in the Netherlands, the British manufacturers BTH-Mazda and Osram-GEC established their own production in England. Even though they were not the pioneers of this lamp technology, they dominated the British market due to the strong preferences for buying local products. It was clear to Philips that if it was to gain a foothold in this most important market, it would have to set up a duplicate of its production in that country. 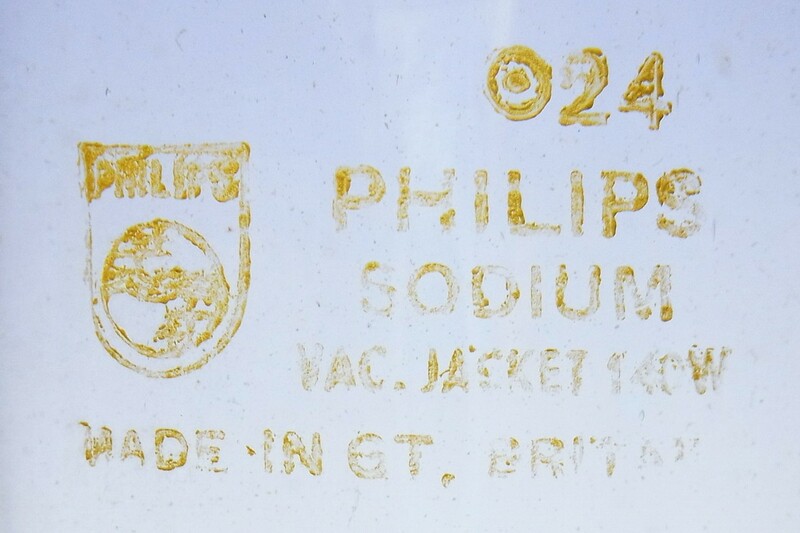 The first British-made Philips sodium lamps appeared in the 1940s, and were presumably built at the Philips incandescent lamp factory in Harlesden, London. Being discharge devices however, they could have instead been produced at the company's valve and CRT plants in Croydon or Blackburn. 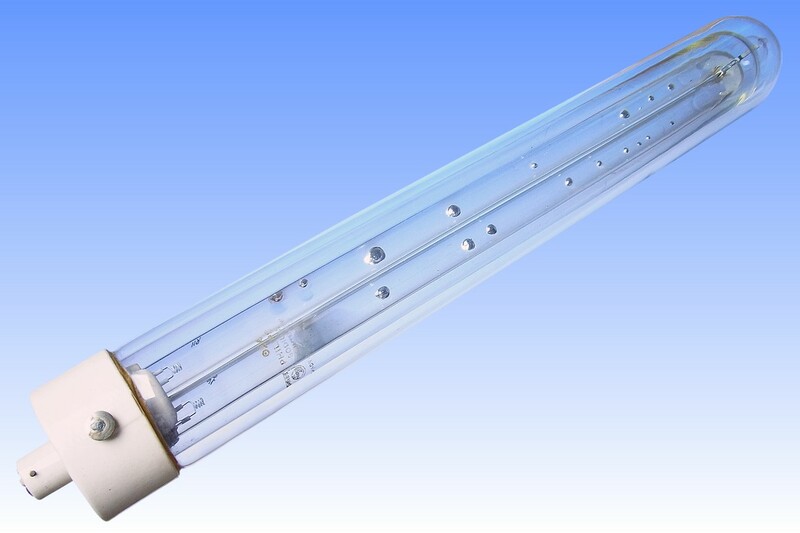 In 1949 all lampmaking was transferred to a new factory at Hamilton in Scotland, and it is believed that this lamp would have been produced there. Unsurprisingly, the design of this lamp appears identical to its Dutch counterparts of the same era. 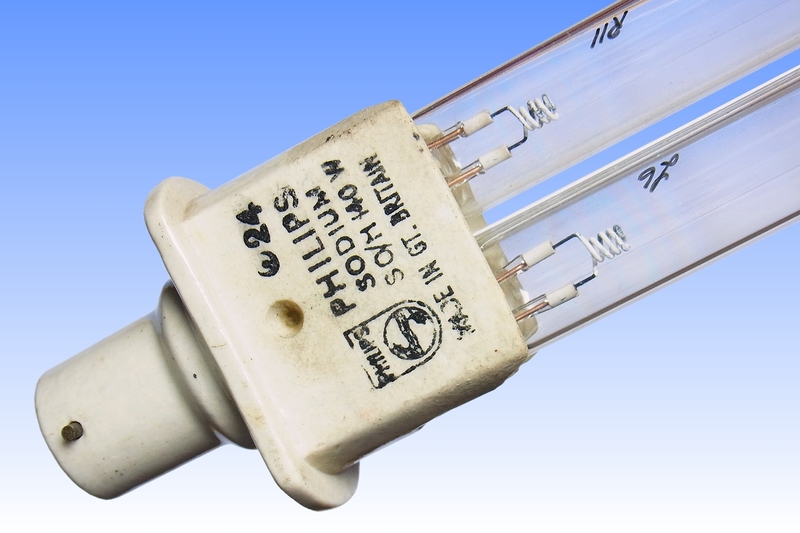 After 1955 however, when Philips Eindhoven made a number of improvements to its SO/H lamps, with the introduction of the Bamboo and the Dimpled designs, the British factory lagged behind and right up to the mid 1960s was still producing this original design. 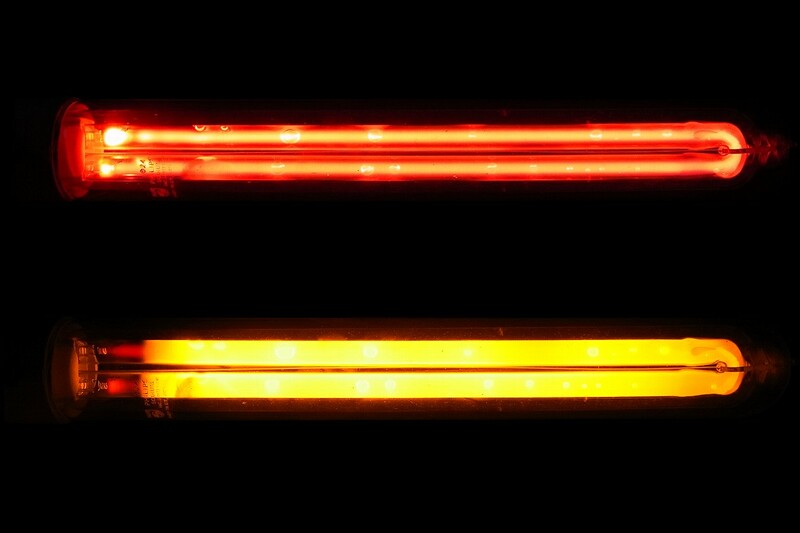 Curiously, the electrodes in this lamp run unusually hot and it can be seen from the lighted photo that this area of the discharge tube is entirely devoid of sodium vapour, the characteristic neon red discharge being clearly visible.